Yay! The Nintendo DSi is finally official. After a few days of rumors and denying those rumors, Nintendo finally announced the new DS at it’s latest press conference in Tokyo. The all new DSi is backed up by (aside from the new hardware), new games, and even new service. The all new DS is set to enter the all around category where the PSP and the iPhone are bigger stars. Music playback is definitely one of the bigger caveats as well as the bigger (if but slightly) screen size. 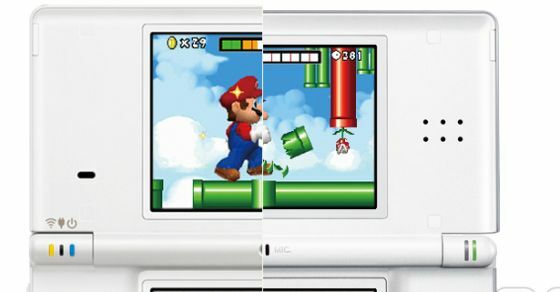 The biggest notable change is probably the cameras on both the interior and exterior of the DSi. Fun but I’m not quite sure it’s a reason to get the new hardware. Camera phones nowadays have much better capabilities. Also, some people might be disappointed with the removal of the the GBA slot. This means no more backwards compatibility with GBA games as well as peripheral support. Nintendo also launched the DSi shop (PSN Store for Sony and App Store for Apple) where you can download games and applications, for free or via points. Included applications on the DSi include software allowing you to play with your images and to slow or speed up audio files. Simple but given the number of games that teach new languages (I found one that teaches you Japanese!) it may make the experience a lot more fun. 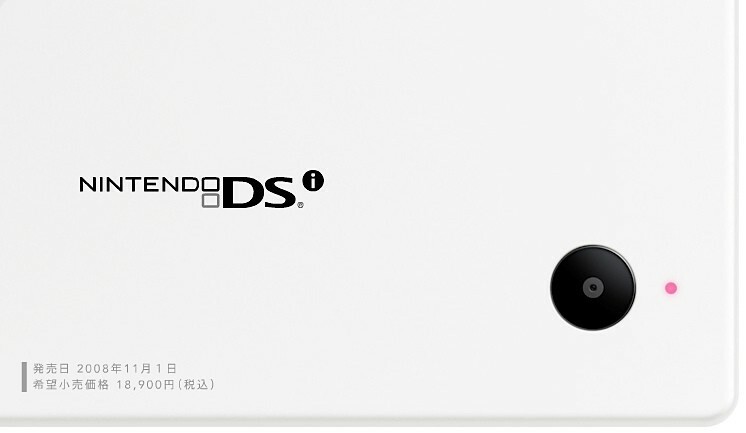 The system will be available in Japan on November 1, for about $180. Release for North America and the rest of the world is still under wraps.